The Joe Dumars Fieldhouse in Utica, with two derby tracks and a bar & grill between them, was an excellent venue for the 2015 Mitten Kitten Mashup. Even before the Vixens B team Capital Corruption was established, the Vixens won this tournament in 2011. 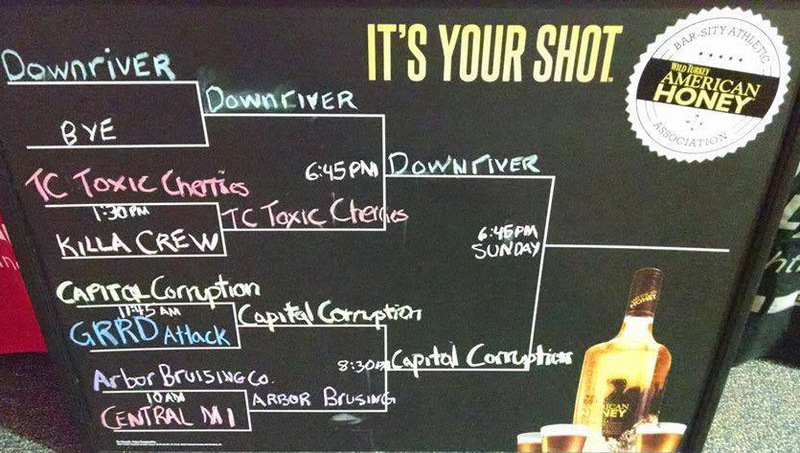 This season, LDV’s Capital Corruption made its third appearance in this tournament for Michigan based non-WFTDA travel teams. Corruption opened the tourney with a 228-175 win against the G-Rap Attack of Grand Raggidy Roller Derby to propel them to the second round later that day. G-Rap played hard but couldn’t match the strong jamming and tight walls of Corruption. Later that afternoon, Corruption faced the Arbor Bruising Co. of the Ann Arbor Derby Dimes. All Lansing/Ann Arbor sport rivalries are fierce, and with a trip to the finals at stake, both teams were determined to leave it all on the track. Lead changes were the name of the game and the play was aggressive as jammers battled walls on both sides. Corruption was able to capitalize on a few miscues by the Bruising Co, and hold onto a lead late in the second half to take the win 180-163. Mitten Kitten Sunday found the Capital Corruption in the MK championship facing off against the Downriver Roller Dollz for the first time in the team’s history. As much as A2 is a tough, grinding, hard-hitting team, Downriver is fast, tough, and executed with graceful precision. The first half saw Corruption take an early 40 point lead, but Downriver battled back and changed lead just before half. Corruption gave them everything they had, but Downriver slowly increased their lead. It was a fine game for both squads but Corruption came up short 206-136 to hold second place in the 2015 Mitten Kitten Tourney. It was an honor to represent the Vixens in this MK Tourney. Corruption showed a lot of class and heart, giving their all in every jam. 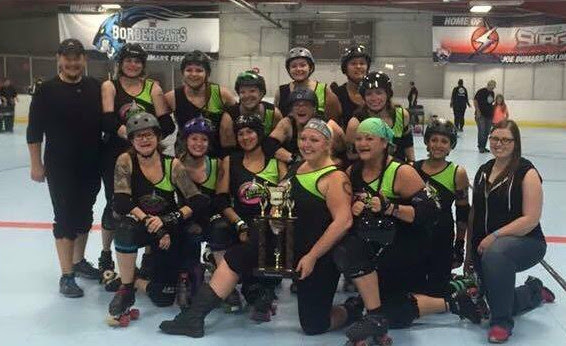 Our thanks to all our opponents, AK 40oz, and crew for all their work putting on this tournament, and all of the great teams in the ‘Mitten’ for making Michigan derby such a great experience! 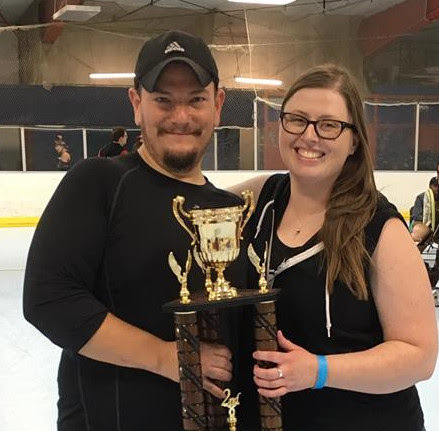 ◂ Vixens in the Community: Vixens Introduce Roller Derby to International Scholars!